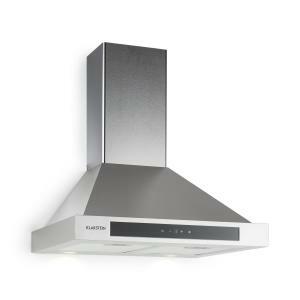 Ergonomic extractor hood with an energy efficiency class B, three performance levels, an adjustable 5 minute timer, and an air extraction rate of 620 m³/h. Black safety glass panel on the front and a touch-sensitive control panel. 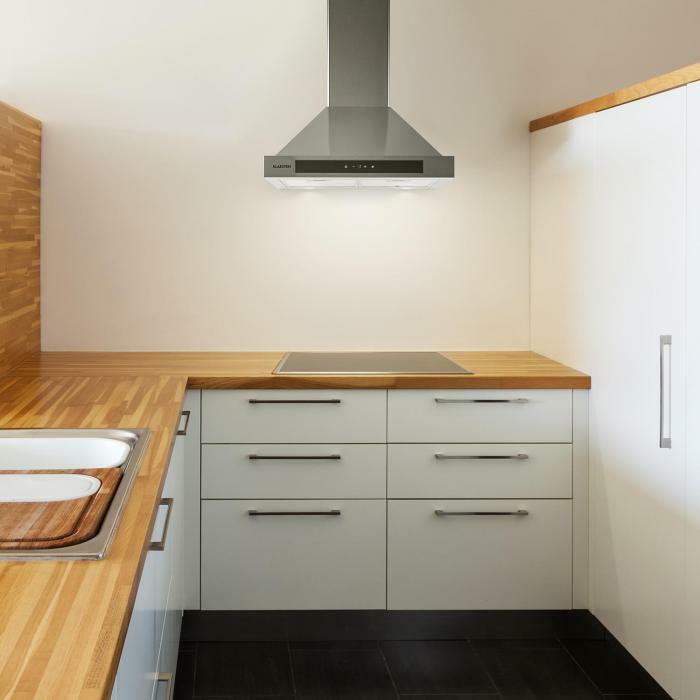 Ideal for small to medium sized kitchens. 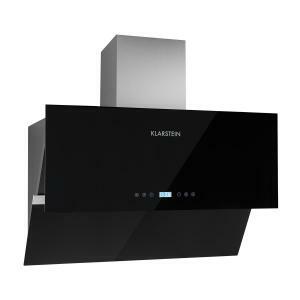 The Klarstein Zelda extractor hood provides small to medium kitchens a way to remove unwanted vapors and keep the olfactory quality of your kitchen at its highest. There are three different performance settings. 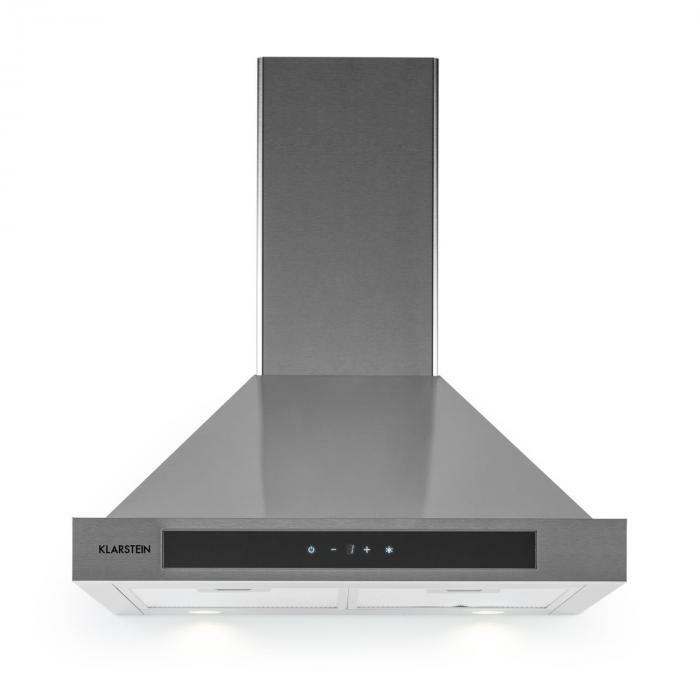 The highest setting carries up to 620 m³ of exhaust air per hour, so you can tackle without any nasal stress the preparation of your next eight course meal. Both the loudness and the power consumption during operation stay within limits. 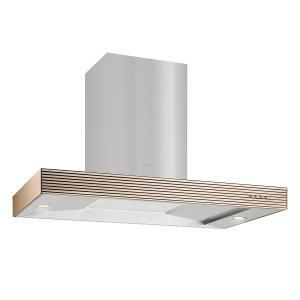 The Zelda is a wall mounted hood that fits elegantly with its ergonomic design in any kitchen space. 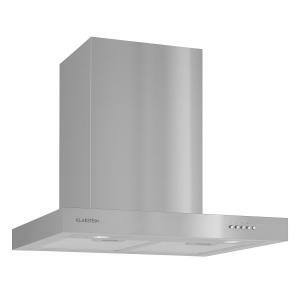 With a width of 60 cm, it is also suitable for narrow kitchens. 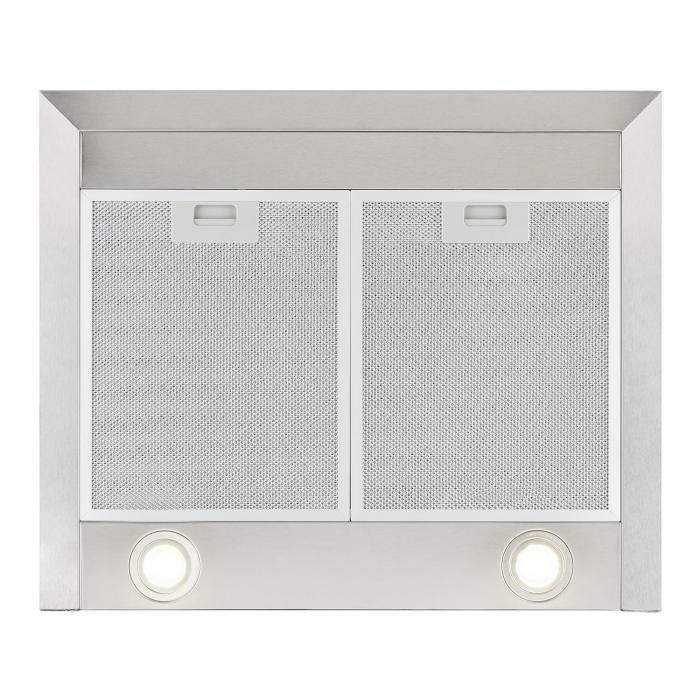 Via the touch-sensitive control panel, you can control the ventilation, the lighting, and the 5 minute Timer. 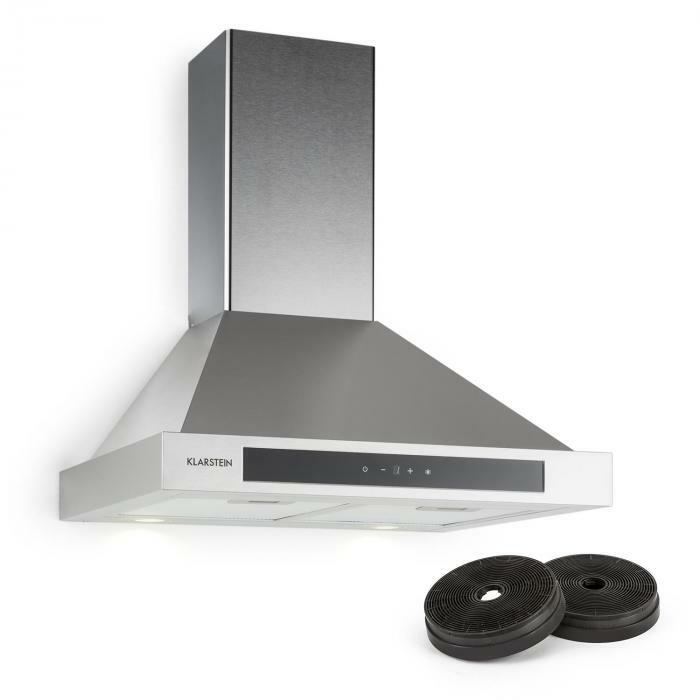 To protect the inside of the extractor hood and the exhaust duct from contamination, Klarstein's Zelda has two replaceable and dishwasher safe, aluminum grease filters. The housing is made of brushed stainless steel and has no hidden or hard to reach corners, which makes it extremely easy to clean. 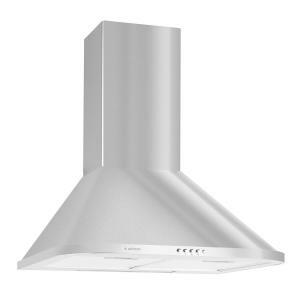 The extractor hood should be mounted on the wall (not on the ceiling) above the cooking surface. 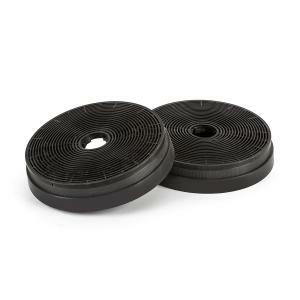 The necessary materials for mounting are included. With its stainless steel visage, the extractor hood integrates beautifully into any modern kitchen design. 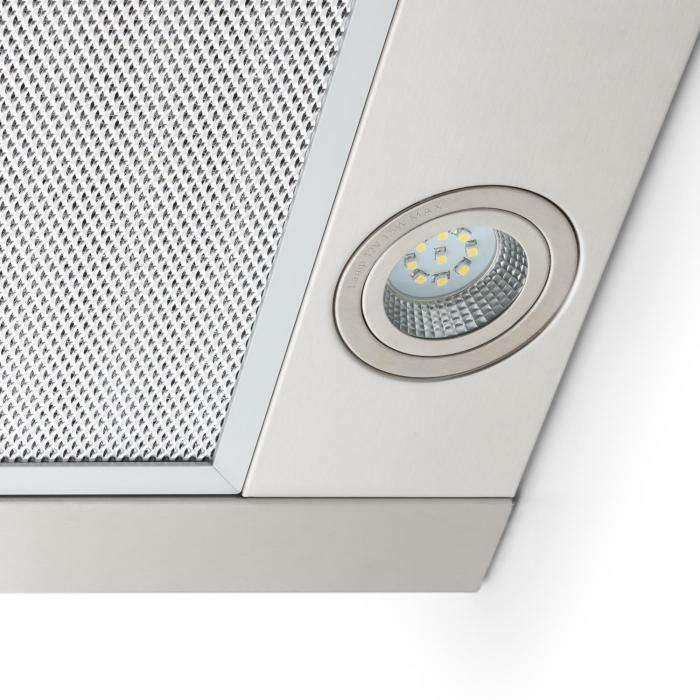 For dim lighting conditions, there is LED lighting built into the Klarstein extractor hood.